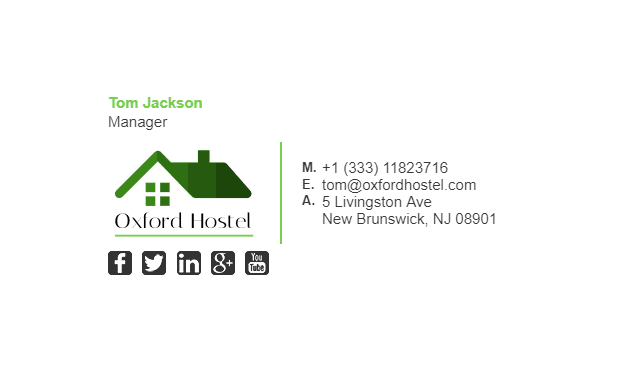 Motels, which are in a similar category to hotels and hostels, should always have an email signature as they need to be contactable at all times in case of emergency. As most businesses, if you own a motel, you likely have monthly special pricing or something like “5th night is free” type of deals. 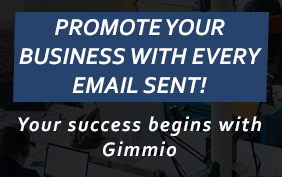 Email signature banners are ideal for this type of situation and should definitely be used by Motel owners to get maximum exposure. 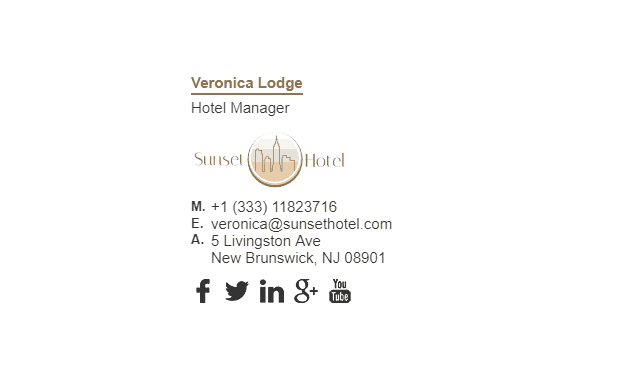 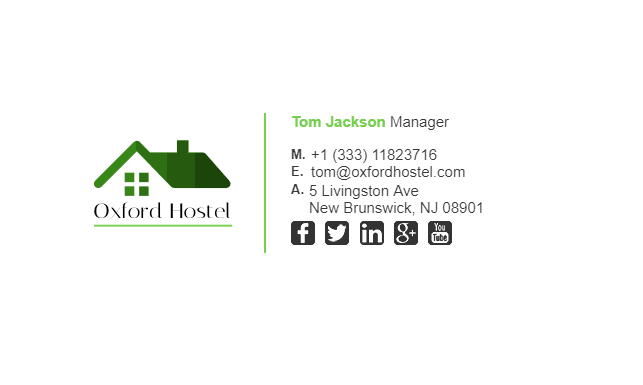 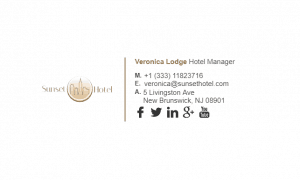 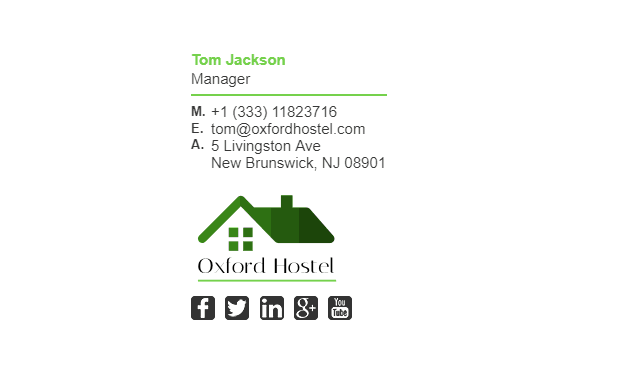 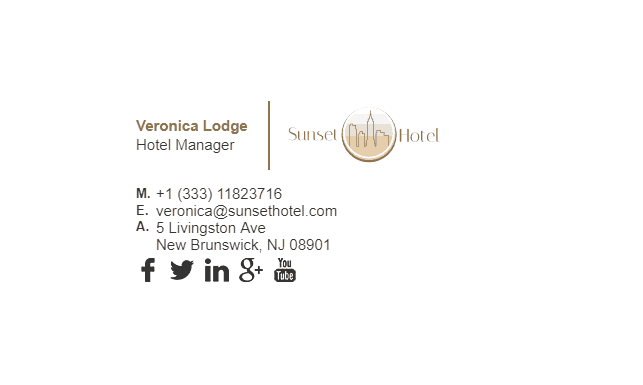 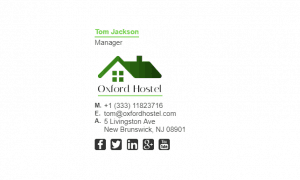 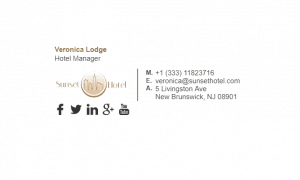 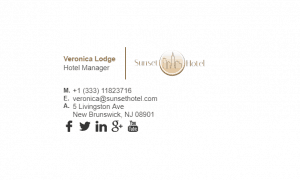 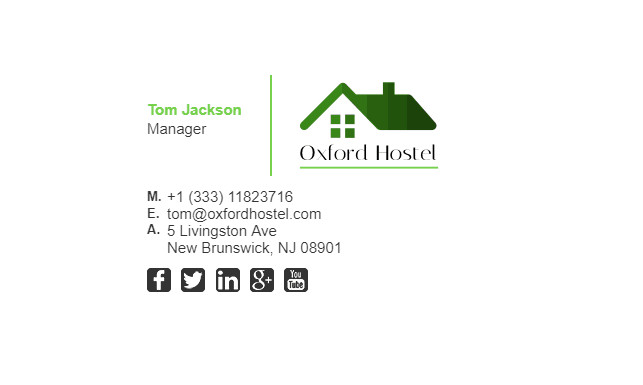 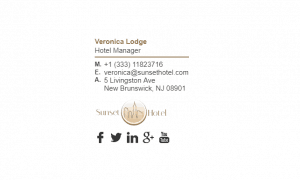 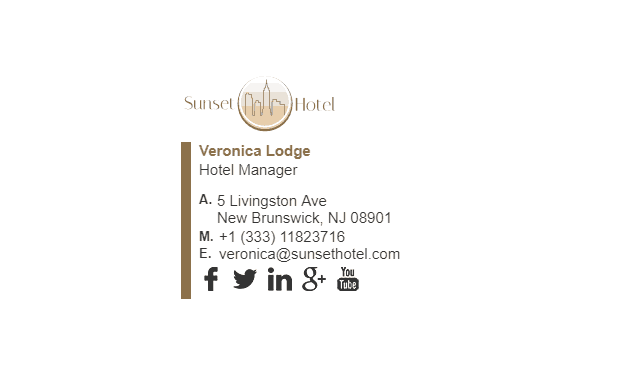 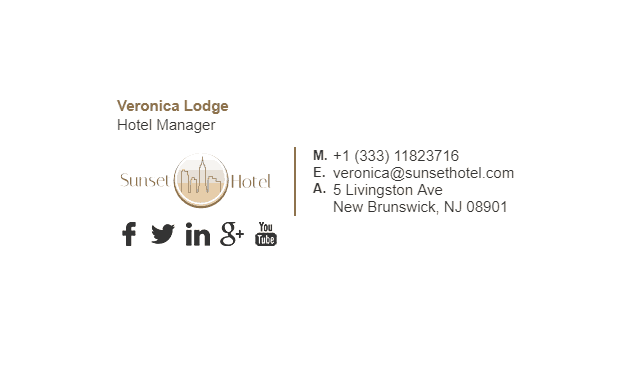 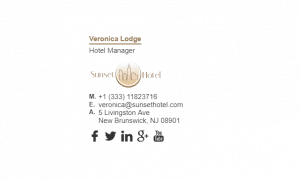 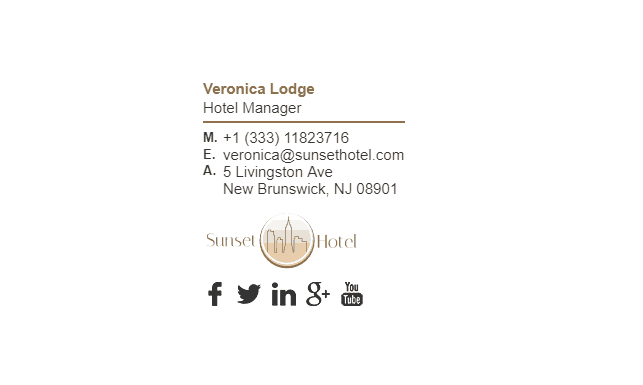 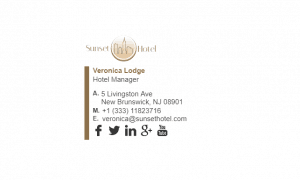 Have a browse through our motel email signature examples below. What Should Be Included in a Motels Email Signature?